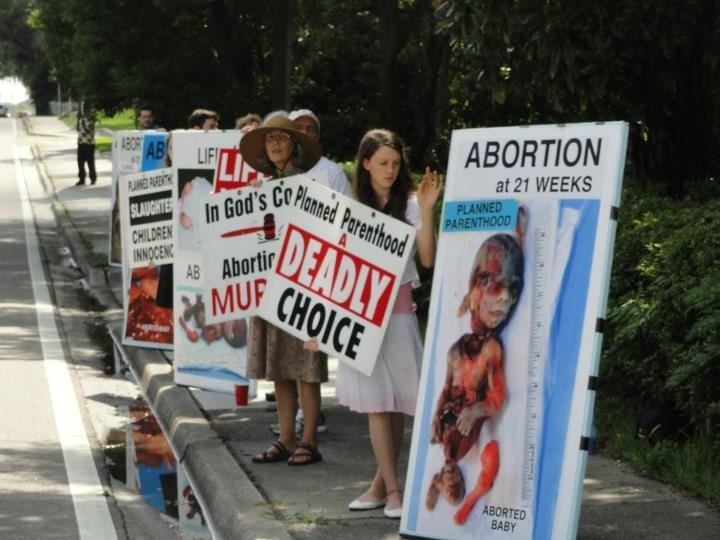 The city council of a Florida municipality has voted to ban protests in residential areas following a recent picket at the home of a Planned Parenthood CEO. On August 27th, in a vote of 4 to 1, the City of Winter Park passed a 60-day emergency ordinance to bar protests from being held within 50 feet of a residence. Last week, the city made the ban permanent. The ordinance was passed in direct response to a picket that was conducted at the home of Jenna Tosh, the CEO of Planned Parenthood of Orlando. Tosh testified before city council, stating that she “felt threatened and ambushed” by the protesters being outside of her home. “I literally had to push through these folks who were carrying massive protest signs and signs that said, ‘Jenna Tosh kills babies and hurts women,'” she told those present that night. According to reports, 28 pro-life supporters gathered outside of the Tosh residence on a Saturday morning as Jenna Tosh and her husband Andrew were out for a walk along with their young son and dog. A neighbor was believed to have called the police, and when Tosh returned and saw the group spread out along the public sidewalk surrounding her home, she reportedly burst into tears. Patricia McEwen of Life Coalition International told a local reporter that the call placed to police was untruthful. However, because of Tosh’s testimony, city council moved that evening to outlaw protests within 50 feet of any residence. The sole vote against the measure was from Winter Park Mayor Ken Bradley, who stated that while he thought the picket was “heinous,” he felt that he had an obligation to protect free speech. Winter Park City Council conducted a second vote on September 10th to make the ban permanent, and is expected to vote one last time to finalize the measure. This past June, abortionist Scott Hye of the Orlando Women’s Center quit his job due in part to the outreach of sidewalk counselors that spoke to him regularly at the abortion facility. His home had also been picketed on several occasions. “June 2nd is my last day,” he stated, smiling to pro-life counselor John Barros, who had developed a cordial relationship with Hye. “What are you going to be doing?” Barros asked. “Family practice,” Hye answered, beaming. “Thank you, Scott, so many people have been praying for you. You have no idea,” Barros said. “I appreciate it,” Hye replied as Barros urged him to repent of the shedding of innocent blood. According to reports, nearly 70 abortionists and their assistants have left the abortion industry since 2007 largely as a result of communications with pro-life counselors.